The girls pinned American Flag memorial ribbons on congregants who attended church on 9/11/2016. 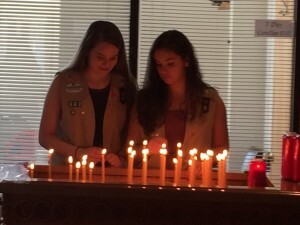 Nationally recognized Scout Sunday was celebrated at Kimisis Tis Theotokou Greek Orthodox Church in Holmdel NJ with Girl Scouts and Boy Scouts of all ages assisting the Parish Council, participating in the Divine Liturgy, affirming their dedication to scouting and presenting religious recognition awards to those who have completed the course of study. 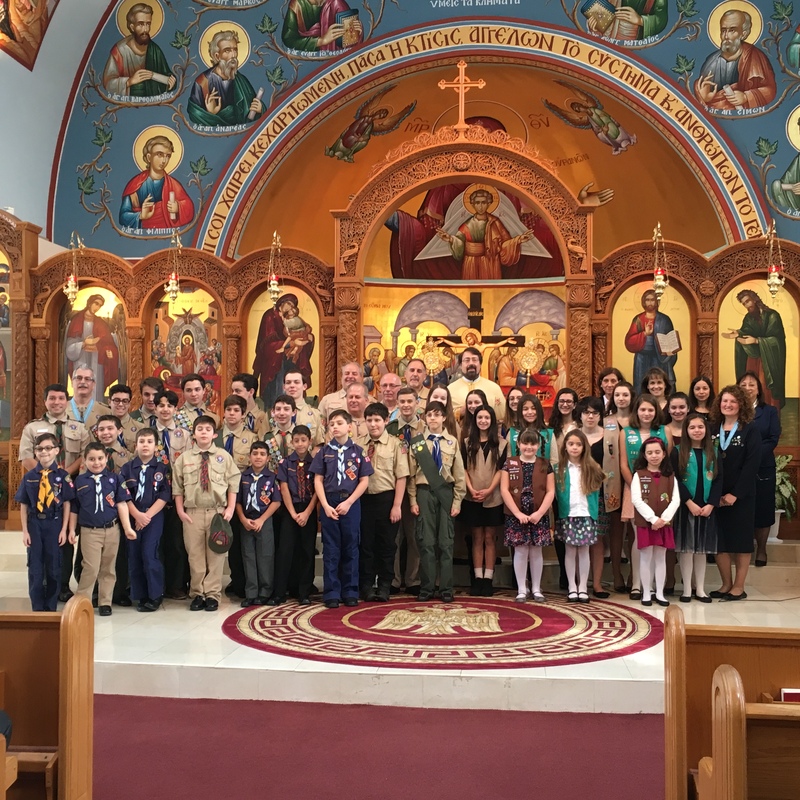 Current Scouts and graduates of the program attended the ceremony that followed Divine Liturgy. Rev. Father Panagiotis Lekkas is photographed here with 6 past Girl Scout Gold Award recipients and (2010-2011) graduates of 13 years of the Kimisis Holmdel Troop 337 program which is under the auspices of the EOCS and GSUSA. Left to right. 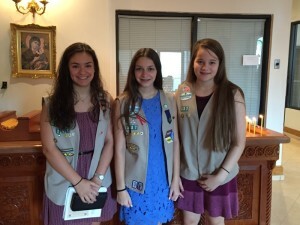 Sofia Kotsis, Michelle Parlamis, Alexis Marinos, Fr. 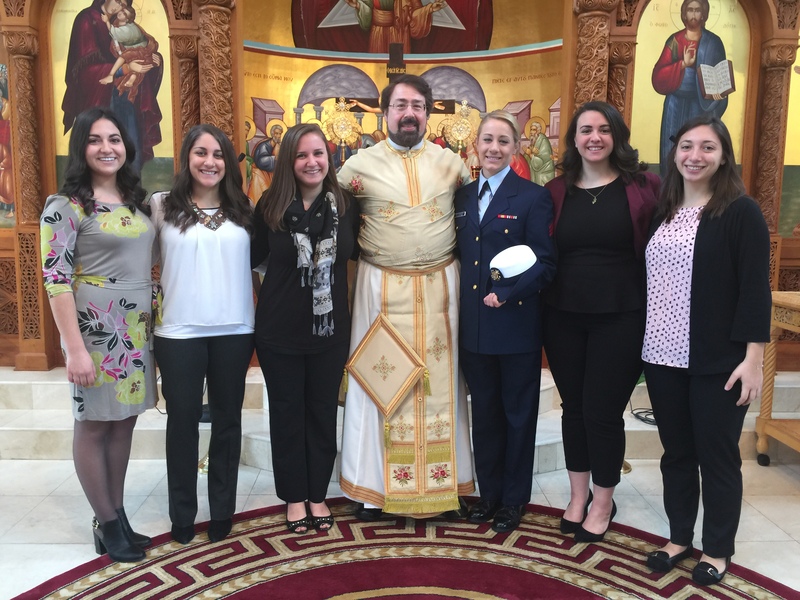 Panagiotis, Daphne Bistrimovich United States Coast Guard, Connie Protentis and Alaina Bontales. We wish Daphne all the best as she prepares for her next assignment with the Navigation Team in Colfax, Louisiana. 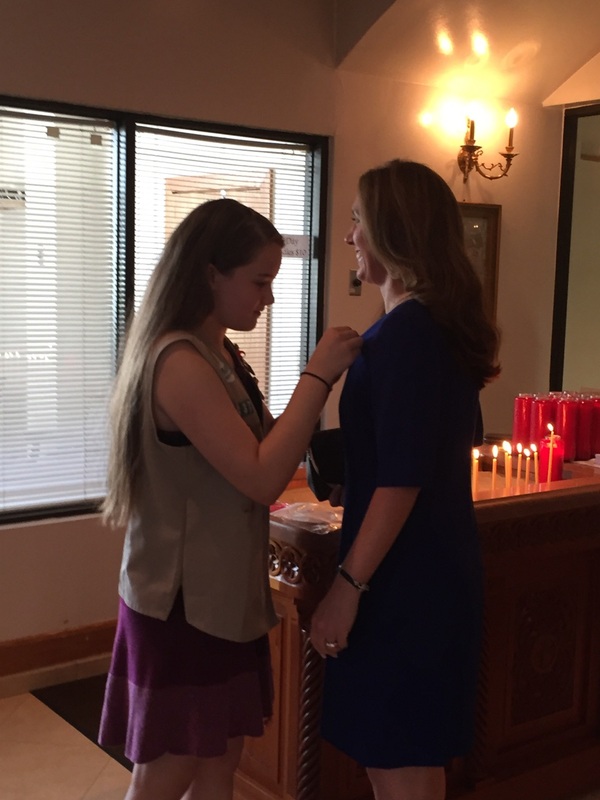 On my Honor, I will try, to serve God and my Country, to help people at all times, and to live by the Girl Scout Law. Girls 5-18 years of age. 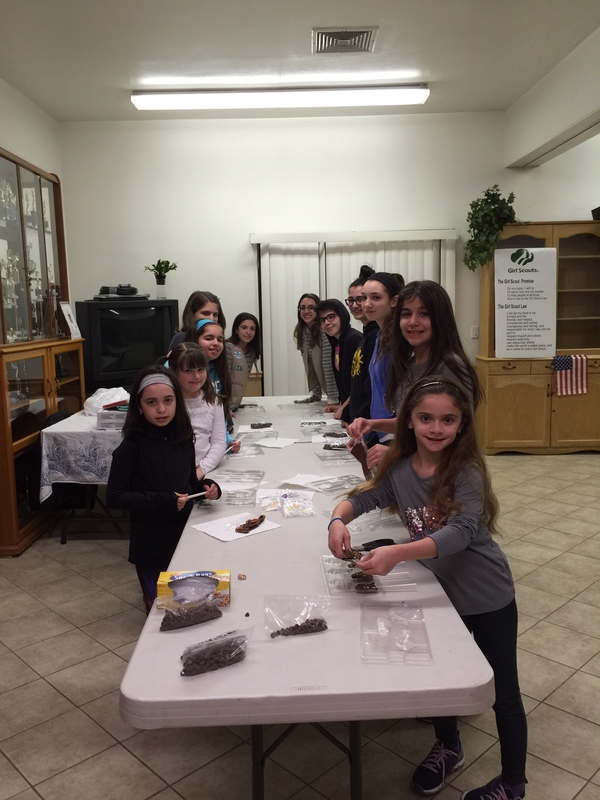 Girl Scouting at Kimisis Tis Theotokou began meeting at the church in 1995. 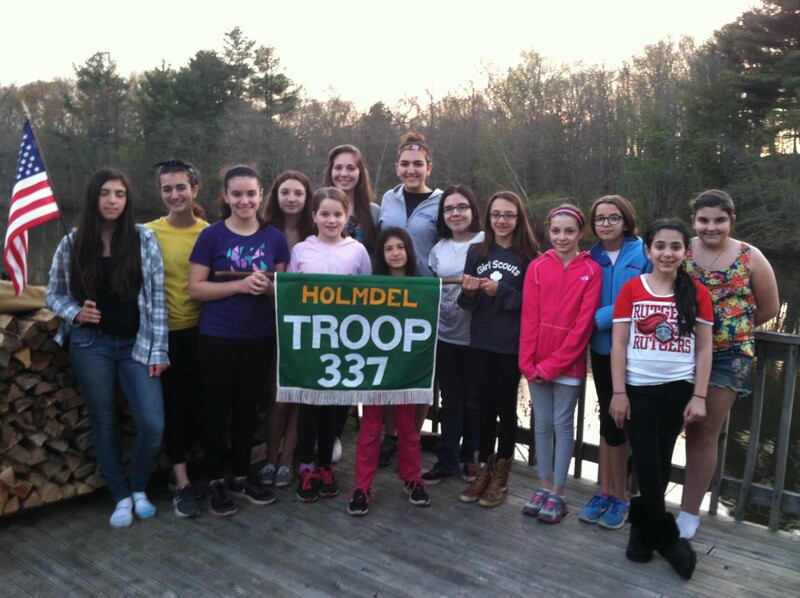 We are Holmdel Troop 337 of the Girl Scouts of the Jersey Shore Council. We offer a wonderful Girl Scouting program under the auspices of the Eastern Orthodox Committee on Scouting and Girl Scouts of the USA.The troops were founded in 1995 by Organizer Cheryl Bontales, with theblessings of Fr. George H. Dounelis (who was a Boy Scout in his youth) and thes upport of the Parish Council and the Kimisis Community. Our Leaders are all registered and trained by GSUSA. 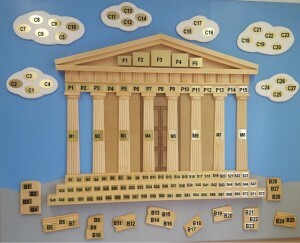 We provide a value based program that is fun and informative. 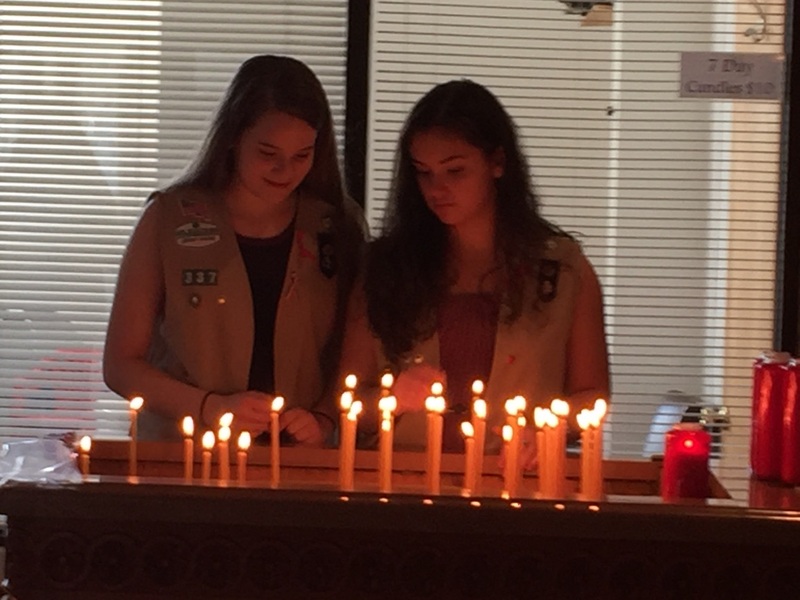 Since our inception, hundreds of Girl Scouts have passed through thep rogram that helps girls grow strong into confident, competent women,while building friendships for life. Adult volunteers are welcome and all training is done through GSUSA at the church and online. 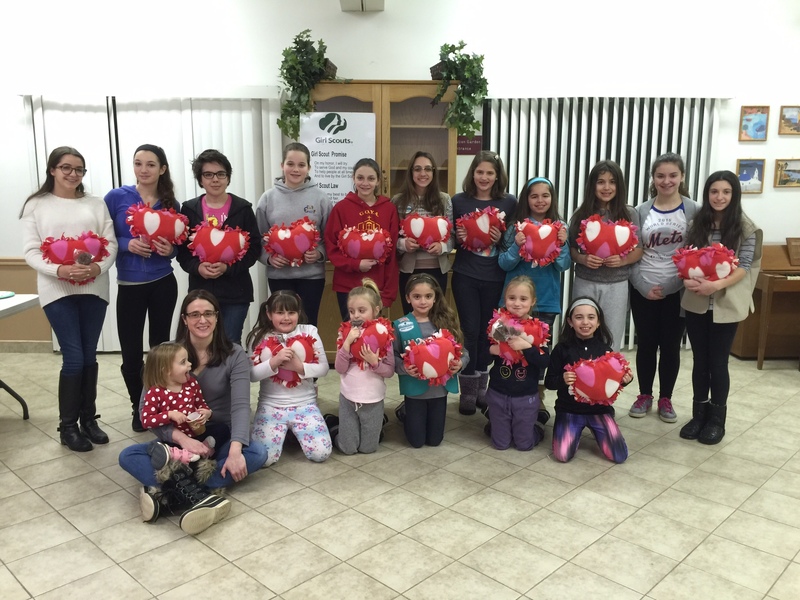 For more information about Kimisis Girl Scouts, contact Cheryl Bontales, Organizer at 732-796-1006. We are currently accepting registration for the new School year. 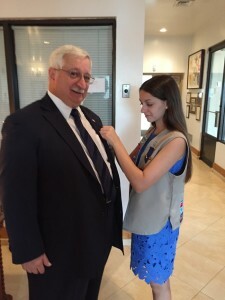 You may register online at www.girlscoutsjs.org.